Docomomo US/Philadelphia marks the close of the Benjamin Franklin Parkway’s Centennial celebration with a special walking tour led by architectural and landscape historian Emily Cooperman, Ph.D. The Parkway, often called Philadelphia’s Champs Elysées, includes noted early 20th-century Neoclassical monuments such as the Philadelphia Museum of Art and the Rodin Museum that exemplify the City Beautiful Movement. 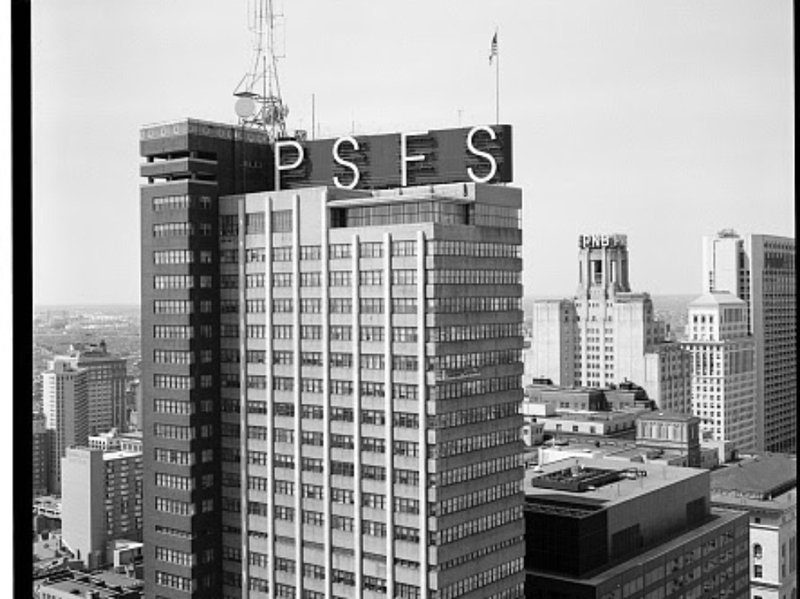 This excursion will focus on the trove of equally monumental Modernist buildings along the Parkway that represent Philadelphia’s ongoing design evolution from Paul Philippe Cret's influential early modernism to the rise of the Philadelphia School at mid-century and later developments. Starting both chronologically and geographically at Cret and Aaron Colish’s 1939-40, 2601 Parkway Apartments, the tour will continue along the one-mile diagonal to Love Park at 15th Street and JFK Boulevard. Along the way, we will visit modern buildings and landscapes such as the new Barnes Foundation building, Mitchell/Giurgola’s United Way Building, and Olin Partners’ designs for Logan Circle and George Hargreave’s new Love Park. We recommend that participants wear comfortable walking shoes for this lively and informative excursion.